The Tina Hydro Project Office on Thursday this week highlighted critical issues about the Environment and Social Impact Assessment Report to officials of the Environment division and representatives of the non government organizations in the country. Issues highlighted included the critical habitats and natural habitats; endangered and endemic species; water and downstream effects; reduced flow region; aquatic migratory species; workers and movements; and lands and compensations. A media statement from the Project Office said the presentation also highlighted the implementation of mitigation measures which will include contractual arrangements, reporting and implementation oversight. On the question of how tambu and cultural artifacts in the core area will be dealt with, the office said a cultural heritage management plan is already included in the ESIA, and most of those sites are already known to the Project Office through the land process. “The exact location of these will be identified discreetly with the tribes when final design is complete and where possible sites will be avoided. Where these cannot be avoided, compensation will be paid,” said the Project Office. Going forward the Project Office said a draft ESIA will be updated for a World Bank Board Meeting Appraisal and uploaded to the World Bank site by mid December; further additions to the ESIA will be complied by ADB and disclosed before their Board Meeting next year; and a final version will be updated by the developer with detailed management plans before submitting it to the Ministry of Environment. 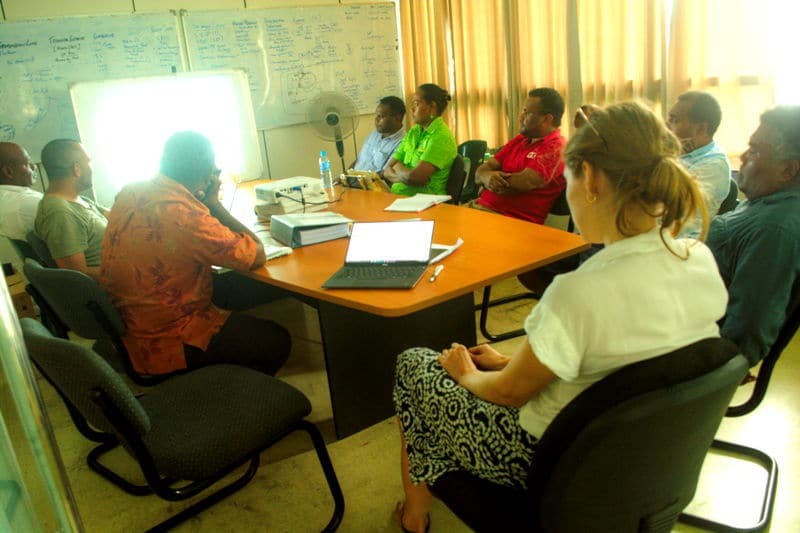 The Project Office also added it will conduct community awareness visits with new graphics in two weeks time and also told the government and NGO officials they were most welcome to give their feedback or comments to the final ESIA report. “These can be done at any time before final issue of the development consent but earlier the better,” it advised.